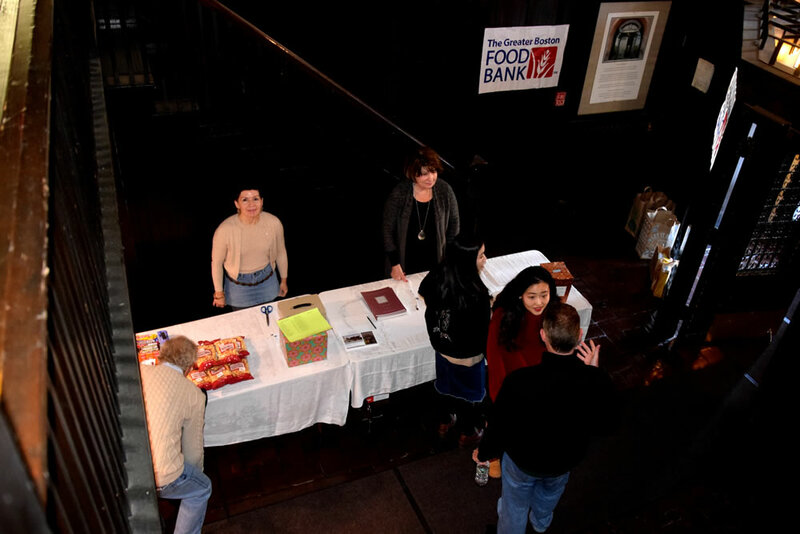 Eat, drink, mix, and mingle in a fun atmosphere to learn more about these community-minded organizations. 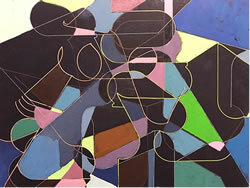 One-day Opening to Celebrate the Spring, Mother's Day, and ART! 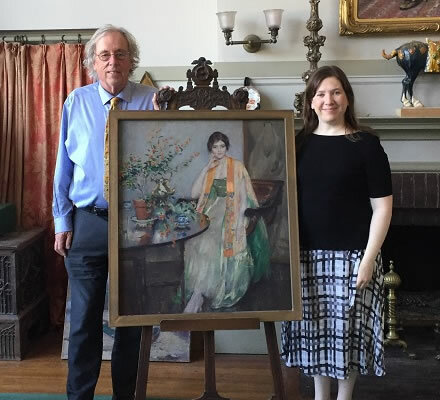 Peter Williams and Kathleen Fahey with Hazelton's c.1915 painting entitled "Nina Rubinoff." 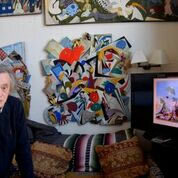 Rubinoff worked as an artist's model and was a friend of Hazelton. 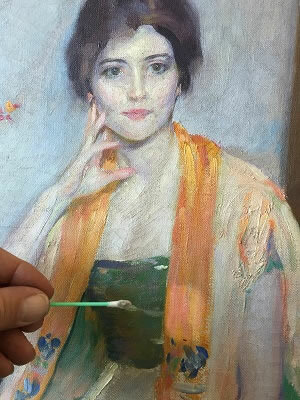 Peter Williams uses a conservation-grade solvent to reveal the original color of the painting hidden under 100 years of grime. 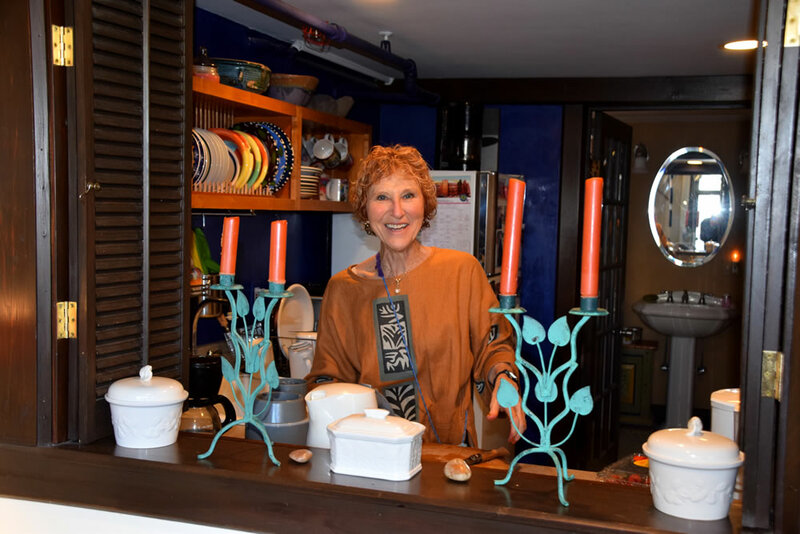 Click here to learn more about Mary Brewster Hazelton. 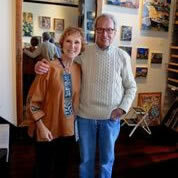 Click here to visit Peter William's website. 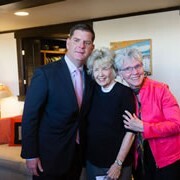 Nan Hass Feldman, Chair of “Open Studios” and Fenway Studios artistm has just learned that “Fenway Open Studios” will receive a $1,000 grant from the city Mayor's Office of Arts and Culture "Opportunity Fund." 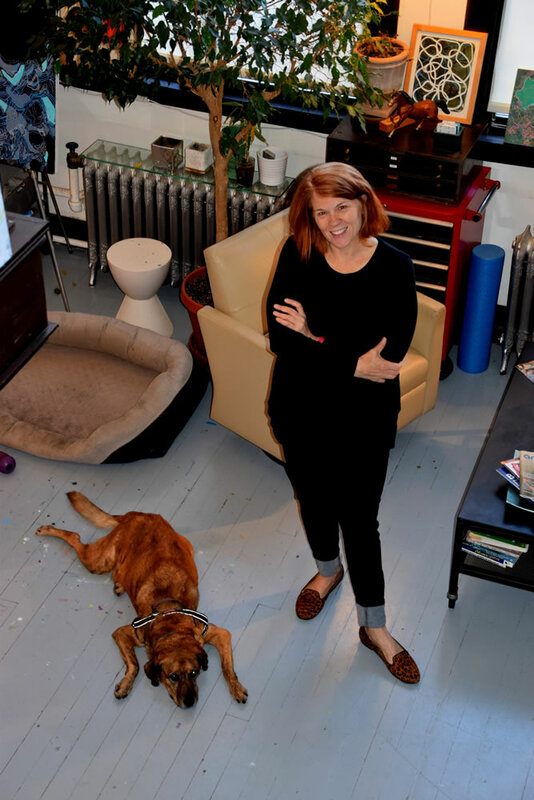 The grant is the result of the efforts of Julia Ryan, who is the Artist Resource Manager in the Mayor's Office of Arts and Culture, and will help defray costs of PR, Designer services, printing, entertainment and other expenses. 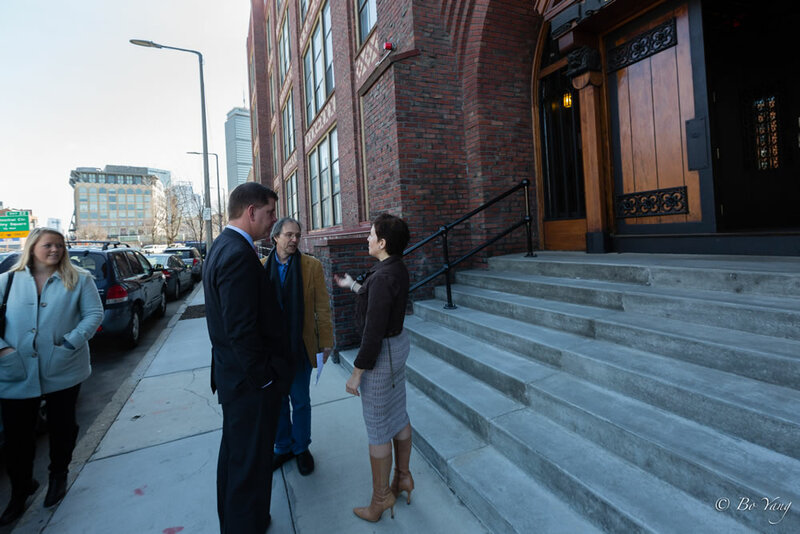 Fenway Studios Housing Cooperative and Friends of Fenway Studios are excited that at long last we are able to begin restoration of the trademark north façade. 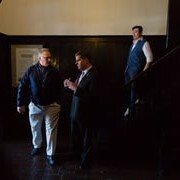 Grants have been received from the Massachusetts Historical Commission and the Henderson Foundation, and together with a Prupac grant, we will be able to begin restoration of the integrity of the building envelope by repairing brickwork and flashing and replacing decayed and inappropriate aluminum sash with high quality, historically accurate windows. The disintegrated water table, window jambs and sills will be rebuilt in this phased construction process that will begin with a prototype bay at the west end and continue over the entire north façade as funds become available. 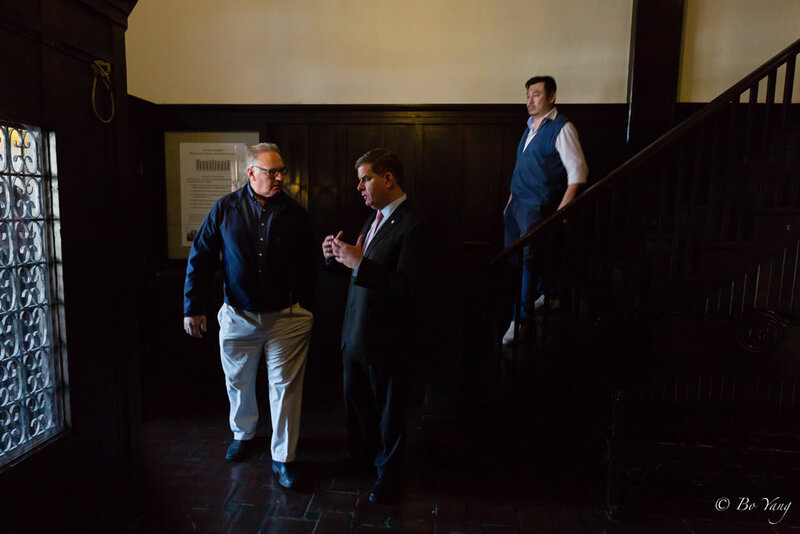 Award winning preservation architects Spencer and Vogt Group of Charlestown are soliciting bids from several specialists and expect the construction contract to be awarded in March, with work completed by the end of June. 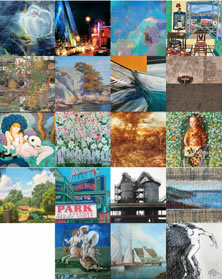 for underwriting the raising of the OPEN STUDIOS banners. 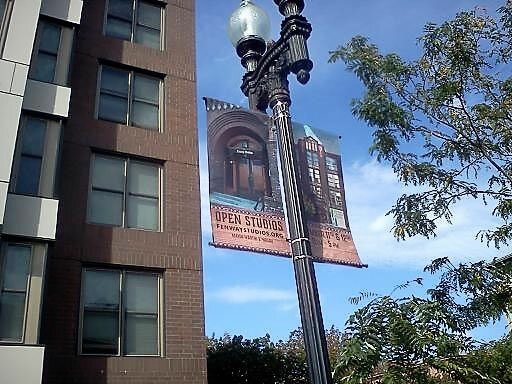 To herald the arrival of the annual, Fenway Studios ‘OPEN STUDIOS’ Weekend Celebration, this year taking place November 11th and 12th, 11am – 5pm, the non-profit organization, Friends of Fenway Studios (FOFS) has generously funded five sets of custom, ‘Open Studios,’ banners. Founding FOFS president, Lynda McNally, shared the exciting news of the board’s approval of her proposal for the banner project, “They immediately understood the promotional impact the banners would create; and they agreed the banners provided a great opportunity to visually welcome the public to Fenway Studios.” The impressive banners stand tall at the corner of Mass Ave and Boylston Street, as well as at the corner of Boylston and Hemenway, and directly in front of Fenway Studios, 30 Ipswich Street. 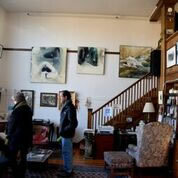 In addition to featuring over twenty gifted and diverse artists during Open Studios, Fenway Studios also annually hosts a food drive to benefit the tremendous work by the, ‘Greater Boston Food Bank.’ If possible, we would be grateful if you could bring a non-perishable food item(s) when you visit, thank you so very much and we look forward to seeing you in November. 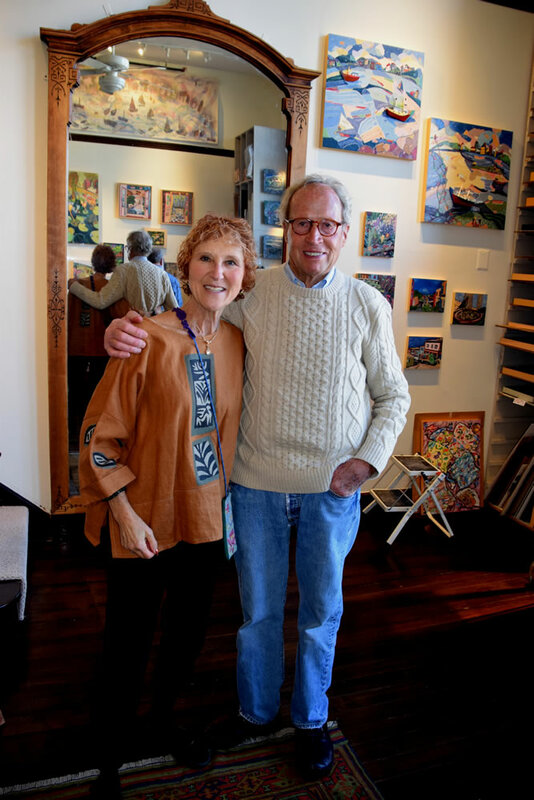 Mark your calendars for Friday, November 10th, 2017, 1:25pm………..when Fenway Studios artists Nan Hass Feldman and Peter Scott will be participating in Jim and Margery’s NEWS QUIZ, as well as discussing the history of the National Landmark, while appearing on the WGBH Boston Public Radio show, broadcast live from the Newsfeed Café, at the Boston Public Library, 700 Boylston Street. Please join us for what will surely be a spirited segment……bring your friends and family, but, arrive on time, for it’s certain to be SRO! However, if your schedule will not allow you to attend, please treat yourself and listen to the broadcast live streamed on 89.7 FM. We hope to see you on November 10th at the Newsfeed Café…….but if you cannot attend……please be sure to TUNE IT! Once Again, Tempts the Community’s Taste Buds! 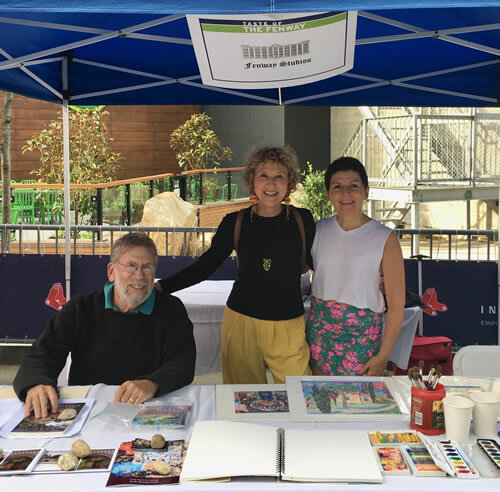 On September 21st, 2017, the Fenway neighborhood experienced another delectable and incredibly deeeeelicious fun and festive evening during the annual, ‘Taste of the Fenway,’ (TOTF) hosted by the non-profit organization, Fenway Community Development Corporation (FCDC). Friends of Fenway Studios founding president, Lynda McNally, coordinated with the TOTF’s dynamic event organizer, Iris Tan, and this year she shared the TOTF both with Fenway Studios artist, Nan Hass Feldman, and her husband, poet Alan Feldman, resulting in a very lively and creatively interactive evening for everyone. 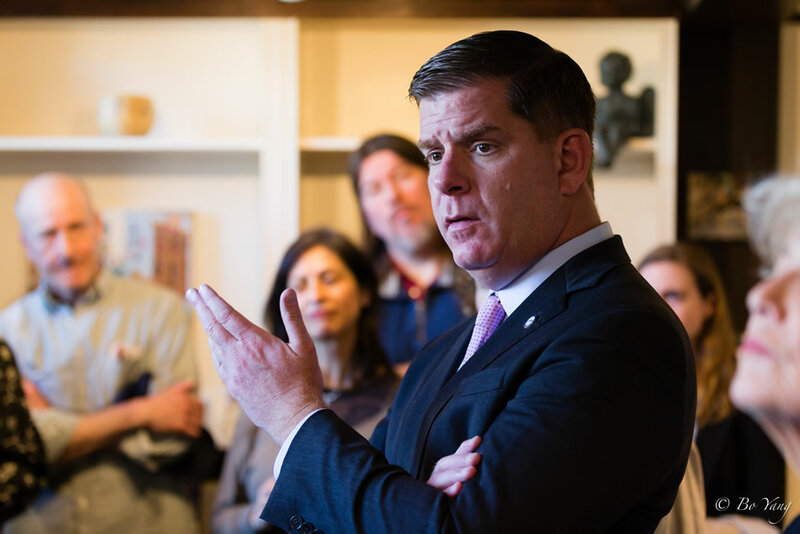 We sincerely thank all our friends at the FCDC for this spectacular opportunity, and for their unwavering commitment to the Fenway neighborhood. We are already counting down the days (but never counting the calories) until next year’s fantastic food festival in the Fenway!! Check this site on a regular basis for news about the upcoming schedule. 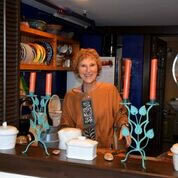 If you would like advance notice of upcoming events, please see the Contact page. 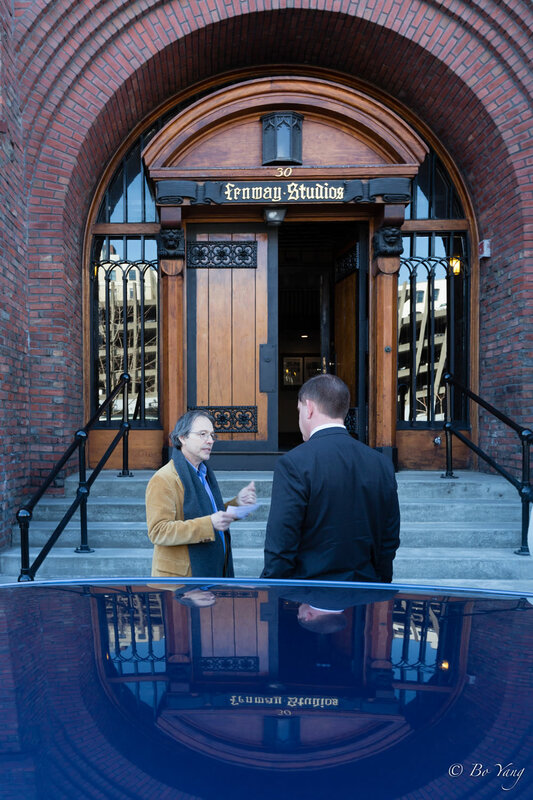 March 30th 2016 will be recognized as a prominent day in the 111 year history of the National Historic Landmark Fenway Studios. 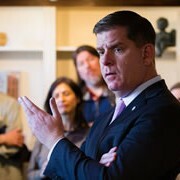 Working with Chief of Staff Daniel Arrigg Koh, Deputy Chief of Staff Meghan Aldridge, and Scheduler Nora Doherty, Friends of Fenway Studios (FOFS) Founding President, Lynda McNally coordinated Mayor Walsh's inaugural visit. 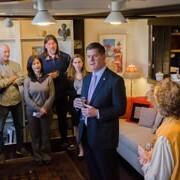 During a brief welcoming presentation, Fenway Studios President, Laura Richardson, on behalf of all the Fenway Studios artists, gifted the Mayor with a stunning print of the building by fellow artist, Peter Scott, as well as a portfolio folder containing postcard examples of each Fenway Studios artist's work; additionally Richardson gave the Mayor a bound copy of the building's 1998 National Historic Landmark application. 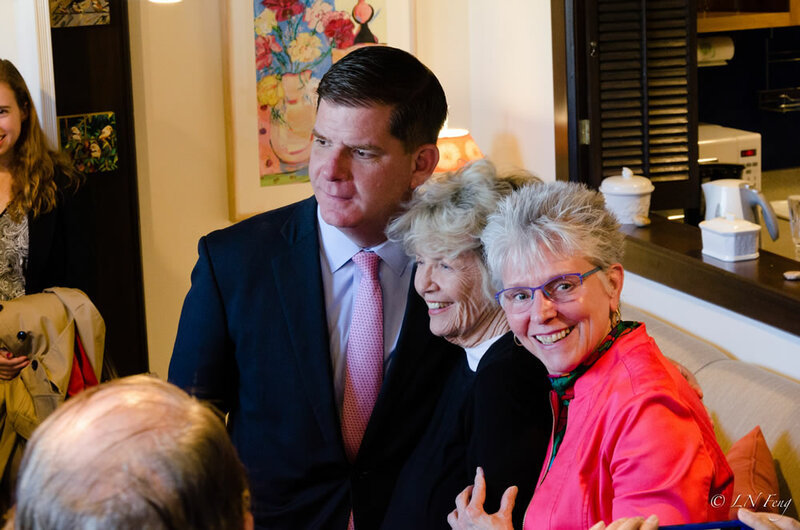 FOFS Vice President, Libby Millar, on behalf of her fellow board members and the Fenway Studios artists, presented to the Mayor, because of his dedication to cultivate and elevate the arts, with a commemorative certificate recognizing him as the, 'Honorary Chairman' of Fenway Studios. 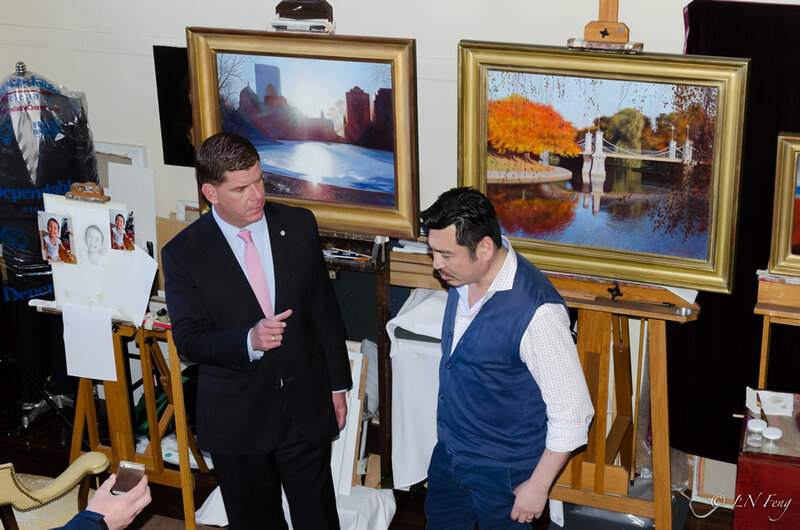 Mayor Walsh expressed his admiration for Fenway Studios and its artists, and praised it among Boston's impressive art communities. 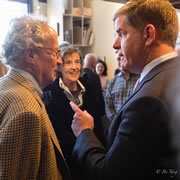 The Mayor engaged in a lively 'Q&A' and voiced reassurance for collaborative projects with Fenway Studios, and the Fenway Cultural District. 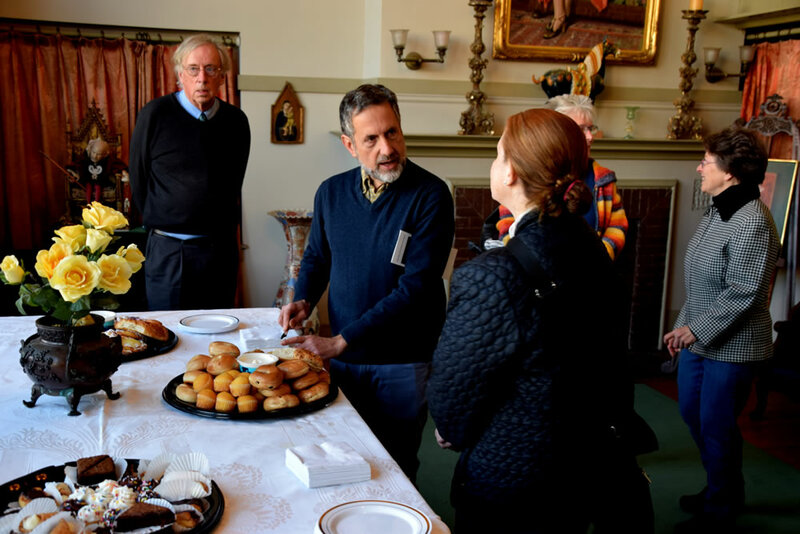 If you missed the lecture by conservator and Fenway Studios artist Peter Williams From Ancient Greece to the Oval Office: Restoring New England's Historic Patrimony, you can view a video of the lecture here. 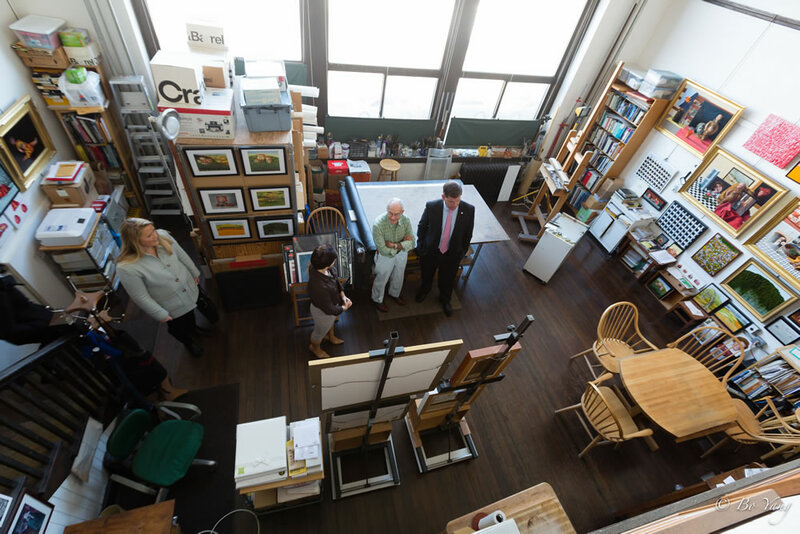 On November 7, 2014, Jared Bowen of WGBH's Open Studios program spent a large portion of his show interviewing FSI artists and touring the building. Click here to view the video. 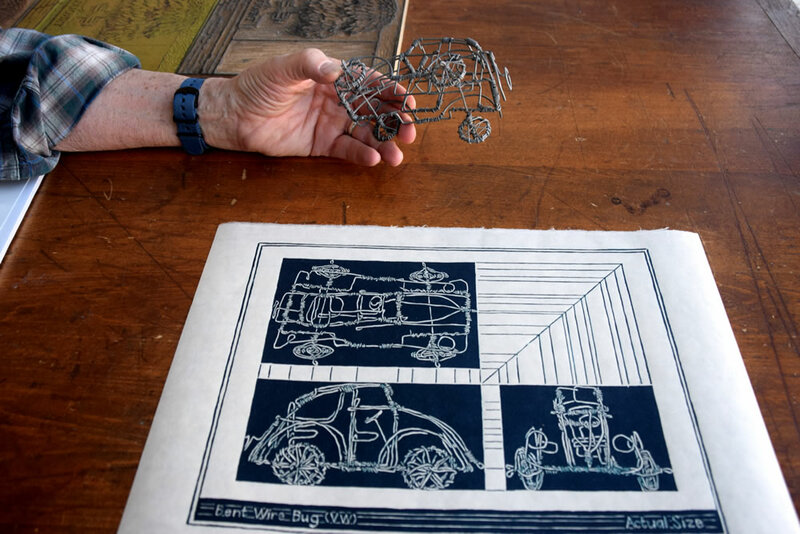 On July 2, 2014, the WCVB TV 'Chronicle' series aired a short video featuring the Fenway Cultural District in which Fenway Studios had extensive coverage, including interviews with artists Mary Hughes, David Lowrey and Peter Williams in their studios. 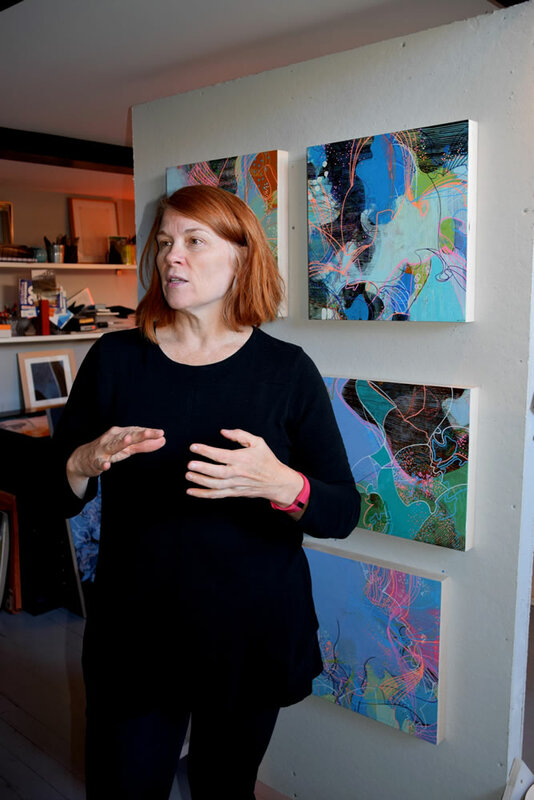 In Spring, 2013, the Fenway Alliance put together a short video of interviews with two resident artists who discussed Fenway Studios and their relationship with Friends of Fenway Studios. This is also a way to look at a couple of studios. Click here to see the video or visit our Facebook page. 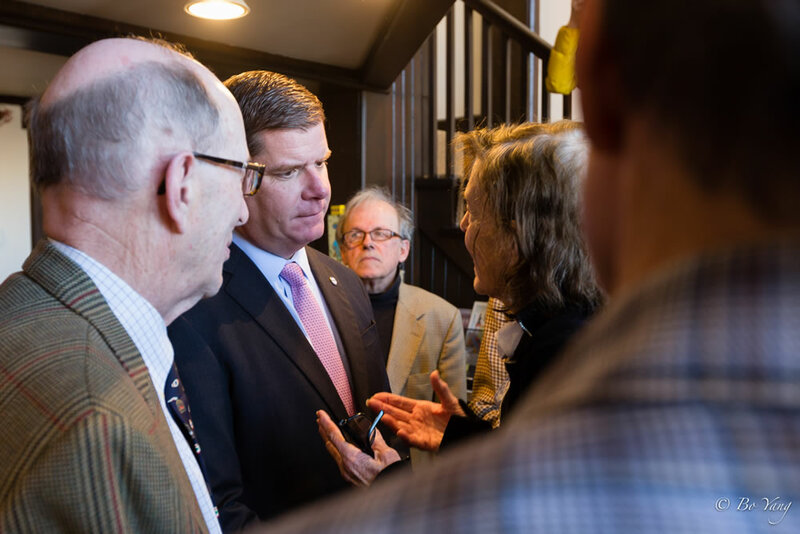 Fenway Studios Artists Talk about their Landmark Building and the Work of Friends of Fenway Studios to Restore It. 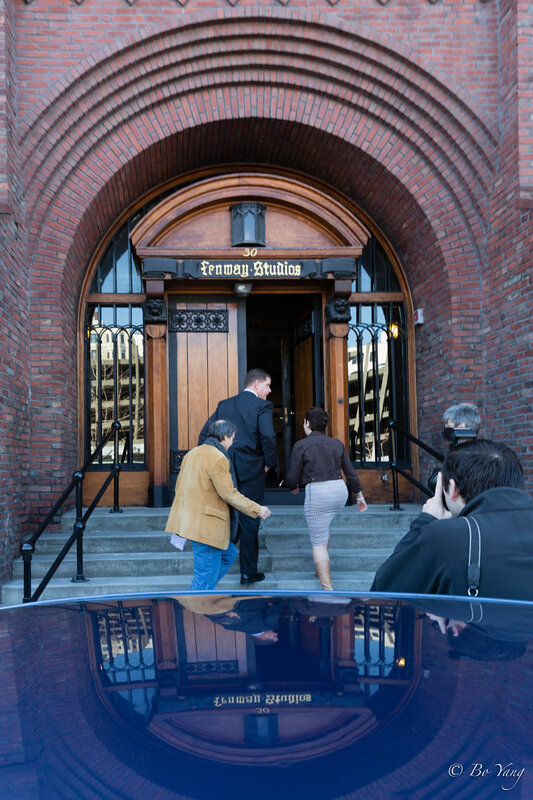 In this 2004 video, Chronicle's Mary Richardson interviews artists and the then President of Friends of Fenway Studios to explore the range and character of their work and the building. 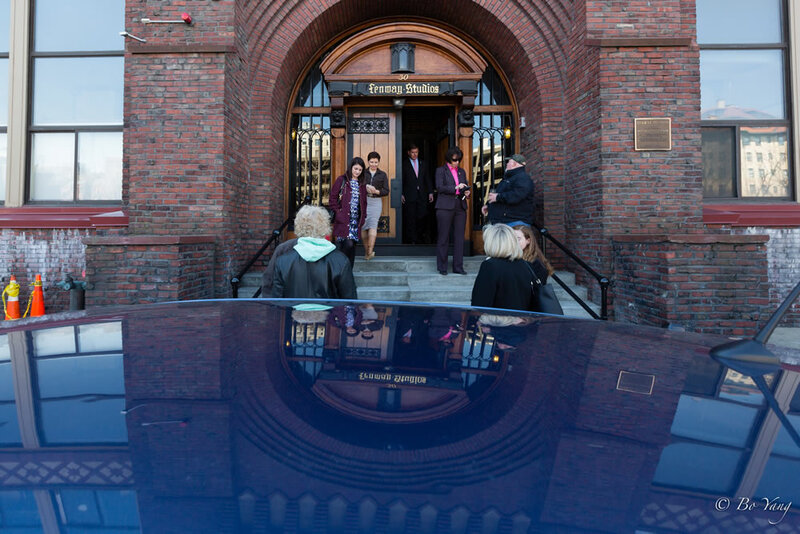 Included are many works by influential artists and member of 'The Boston School'. The beautiful and romantic landscape of Provence will be the inspiration for these two 10 day painting workshops with artist/teacher, Judy Ryan. You are sure to be floored when you gaze upon the wall mural created by gifted artist, Luis "Luti" Castro. 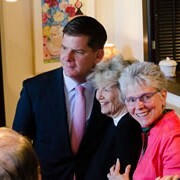 The enchanting mural is located in the children’s daycare room of the magnificently renovated, YMCA, 316 Huntington Avenue, Boston, a proud member of the Fenway Cultural District. YMCA Executive Director Aaron Donohue and Director of Operations Lance Kennedy invite you to celebrate in a ribbon cutting ceremony to unveil the stunning mural. You will delight in seeing Luti finalize the mural as he deftly demonstrates his craft while he paints in the remaining animals—truly a must see! 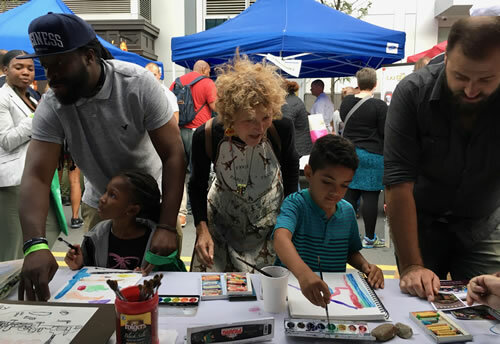 Artist representative Lynda McNally, owner, ‘No Naked Walls,’ coordinated the curation of the mural for the YMCA and was thrilled when Aaron and Lance immediately saw the merit and voiced interest in supporting artists and featuring their work for the public to enjoy. Light treats will be shared. All are welcome, and we are looking forward to celebrating with you! Shop high-end fashion for you... ...and original fine art for your walls! The extraordinary and legendary landscape of Provence will serve as the inspiration for these two ten-day painting workshops. The workshops offer a creative experience which will inspire the beginner and challenge the most advanced painter. 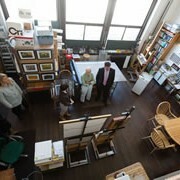 Each workshop day provides six hours of intensive painting time, daily critiques, demonstrations. and exciting excursions. Accommodations are at a beautifully restored french farmhouse nestled in the mountains. Each 10-day Workshop Price includes accommodations, meals and the use of painting equipment. Space is limited to six participants, so early registration is advised. Non-painting partners are welcome. 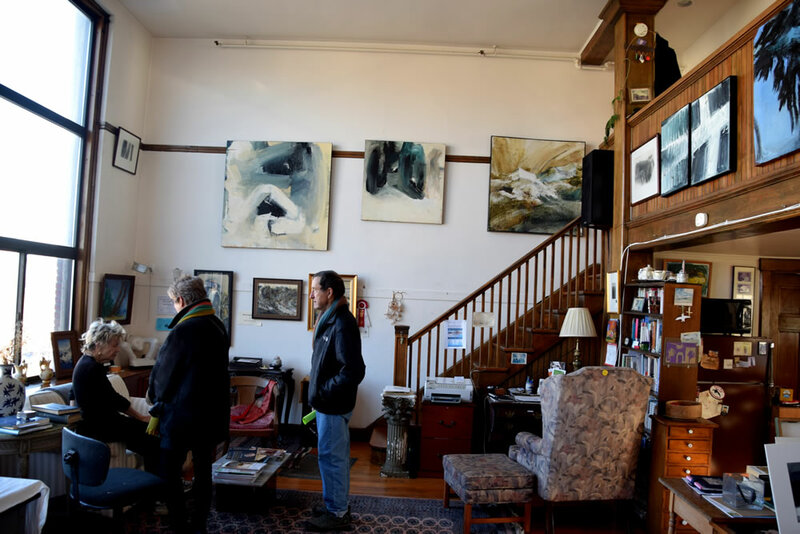 Four Fenway Studios artists featured at "The Lansdowne Pub"
The Mission Hill / Fenway Neighborhood Trust (MHFNT) recently approved a grant application for much needed lighting improvements in the entrance and lobby of Fenway Studios. 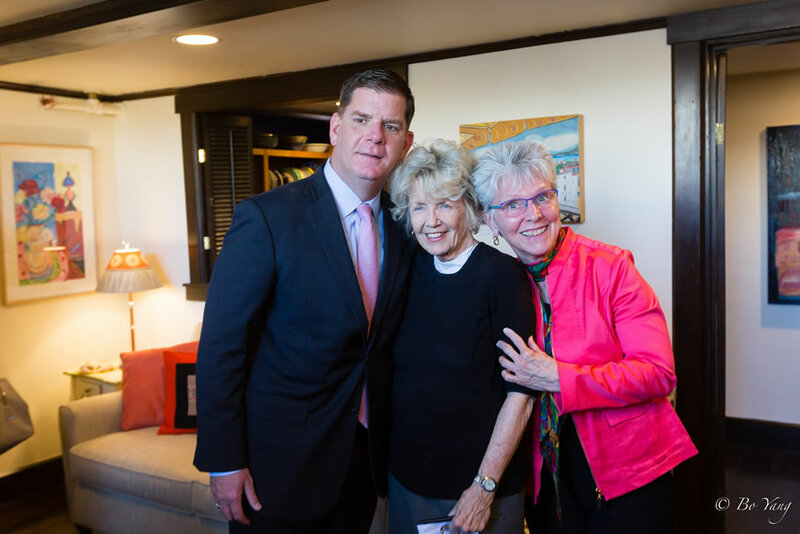 The application was prepared by Founding President Lynda McNally who accepted the check on behalf of Friends of Fenway Studios on June 13, 2014 at MASSART in the Fenway Cultural District. 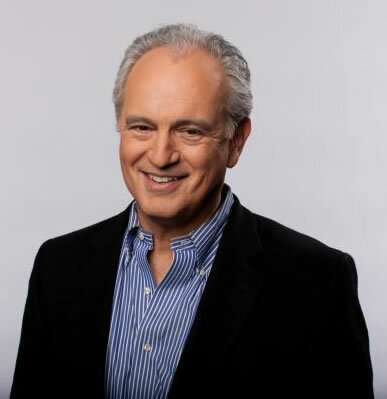 Enjoy podcasts by Fenway Studios artists, Berio Gizzi, David Lowrey, and Peter Williams at the Culture Now website. On the Culture Now website, simply scroll down to the appropriate artist to enjoy these podcasts. 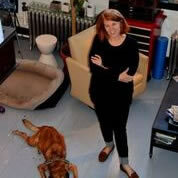 Please check the Culture Now website from time to time to hear new podcasts of other Fenway Studios artists. the Halo: You will restore your motivation to make personal art. the Heart: You will acquires skills and insight from psychology. the Hand: You will engage in art experiences with four medias. A PRE and a POST sessions will be held with All Four Media DEC 6th and MAY 2nd as Before and After comparisons of growth. 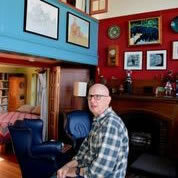 Directed by Henry Gates psychologist & artist: D'min-ATR teacher of Creativity nine years/Clinician 32 years/in his fourth Boston studio; has Jungian and pastoral education and returns his “Access Aesthetics” here. 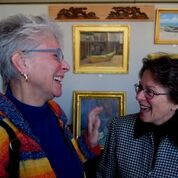 Our time is an hour for talk, a break, then an hour for play (a early word for art). 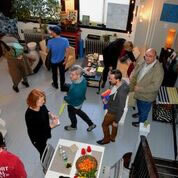 Up to four: Each person has a folder, work station; and all art media is provided. We'd like to invite you to a special event to celebrate Nan's show, The Garden and Beyond: New Paintings which will be closing on May 4th, and the publication of a new book by Alan, Flowers in Wartime , with seven images by Nan. 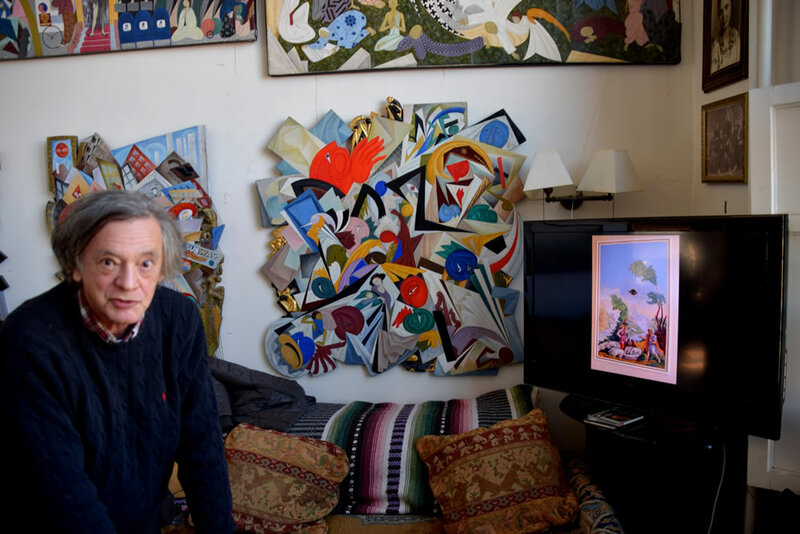 Peter Williams will discuss the highlights of his 40-year career as an art conservator at the Museum of Fine Arts, The John F. Kennedy Presidential Library and in his private practice at Fenway Studios. 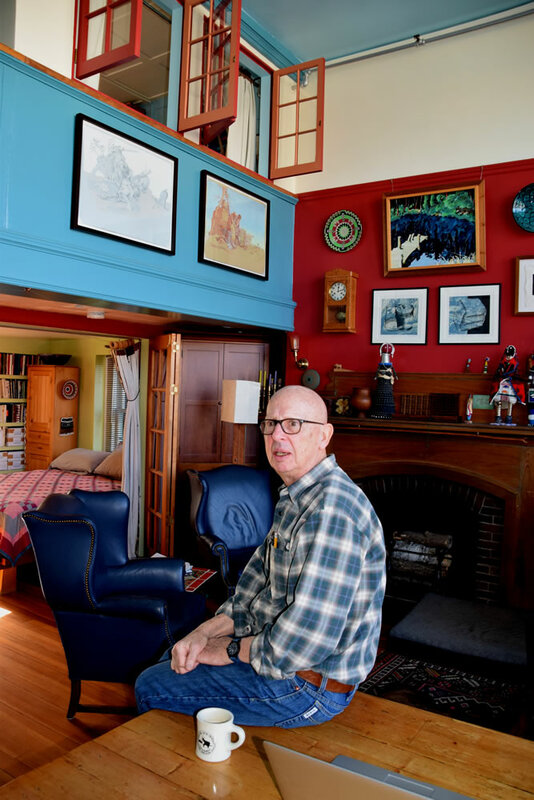 Please join us in this unique opportunity to view the studio of Robert Douglas Hunter, a noted Fenway Studios artist whose work hangs in the Museum of Fine Arts, Boston. The Hunters have also amassed a beautiful art collection, including important works by William McGregor Paxton, Ives Gammell, and William Morris Hunt. 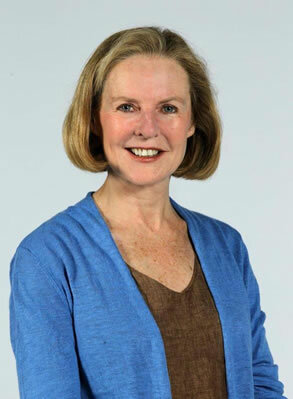 Carey Vose, of Vose Galleries, will provide introductory remarks about the artists and the collection. Tickets are $60 per person, $100 per couple. Please join the Friends of Fenway Studios and Vose Galleries for a lecture by Carey L. Vose, "The Innocent Eye: Charles Hopkinson and the 1913 New York Armory Show"
All proceeds will benefit the Friends of Fenway Studios, a non-profit organization committed to supporting Fenway Studios in The Fenway Cultural District of Boston's Back Bay. 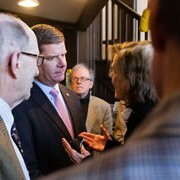 The Friends help to ensure its historic preservation as a Boston and National Historic Landmark, promote the Fenway artists' unique contributions to art, and safeguard affordable studio space for working artists today and for future generations. 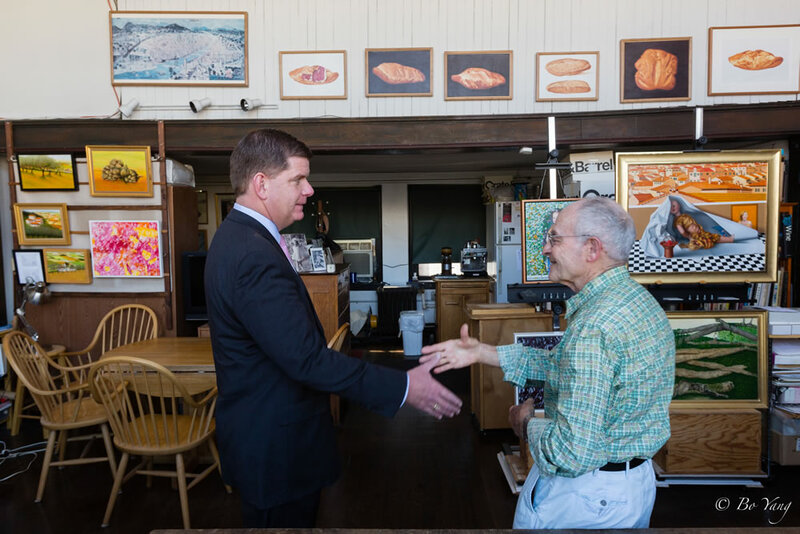 A two-part look at New England's live/work communities, past and present. 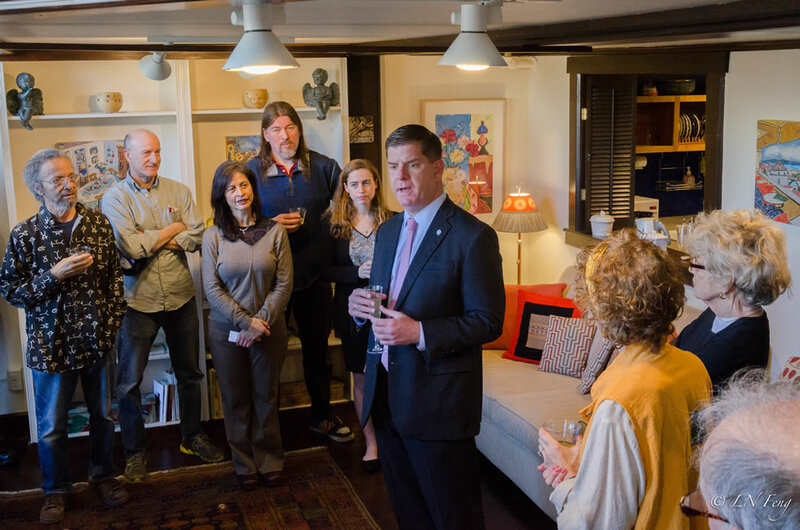 Friends of Fenway Studios are now joint members of The Fenway Alliance which represents the cultural institutions in the Fenway Cultural District. 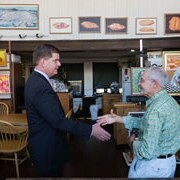 Click here for more information on the Fenway Cultural District. 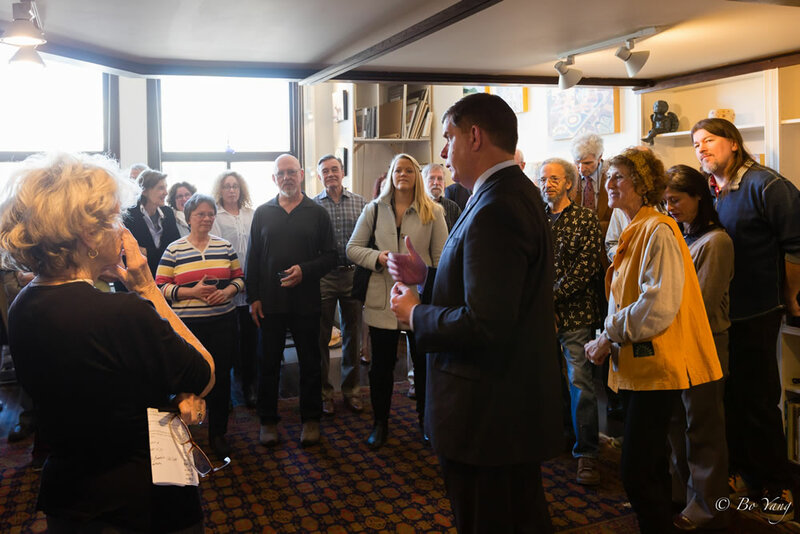 To honor Preservation Month, Friends of Fenway Studios will host docent tours of Fenway Studios led by Rick Heym, AIA, President of Friends of Fenway Studios aided by a long-time resident artist. 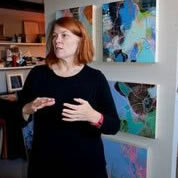 Tour will include visits to at least 3 studios with the opportunity to meet with and discuss the artist's work. 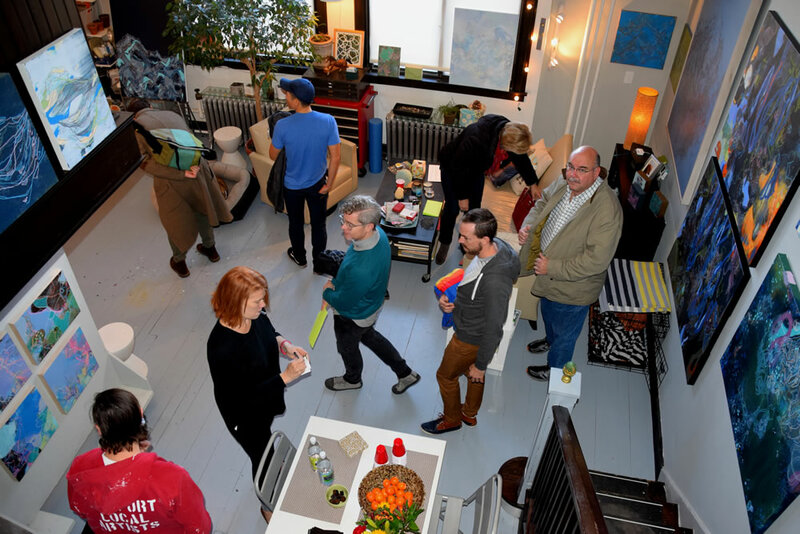 Each attendee will receive a Welcome packet that will include short histories of Friends of Fenway Studios and Fenway Studios, drawings of the original building as well as a list of artists working in the building listed by studio from its construction to the present. 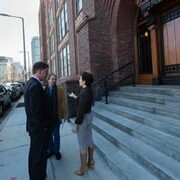 Note also that Fenway Studios is not wheelchair accessible and access requires climbing stairs. 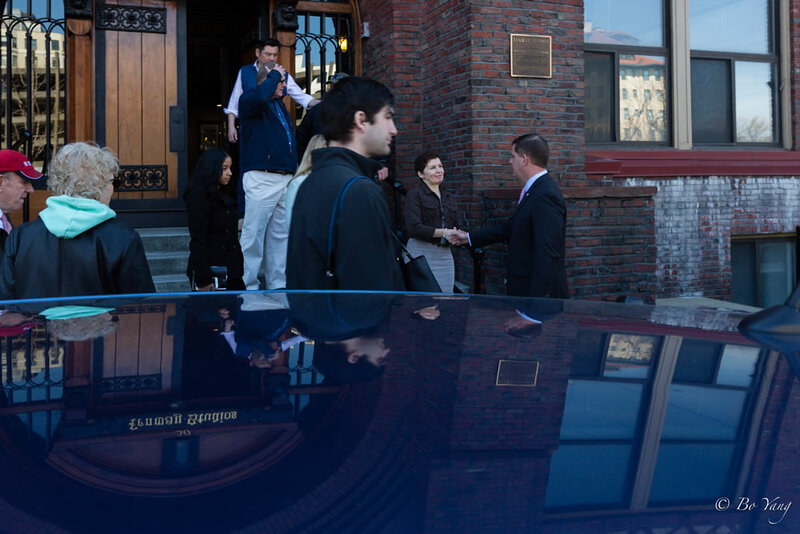 Tours will be held Wednesdays, May 1 and May 15 at 5:30 PM and registration is required. To register, email contact@friendsoffenwaystudios.org, and give date and number of attendees. 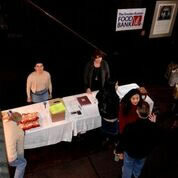 Cost is $25 which may be paid by clicking on the Donate button above or by check or cash at the door. 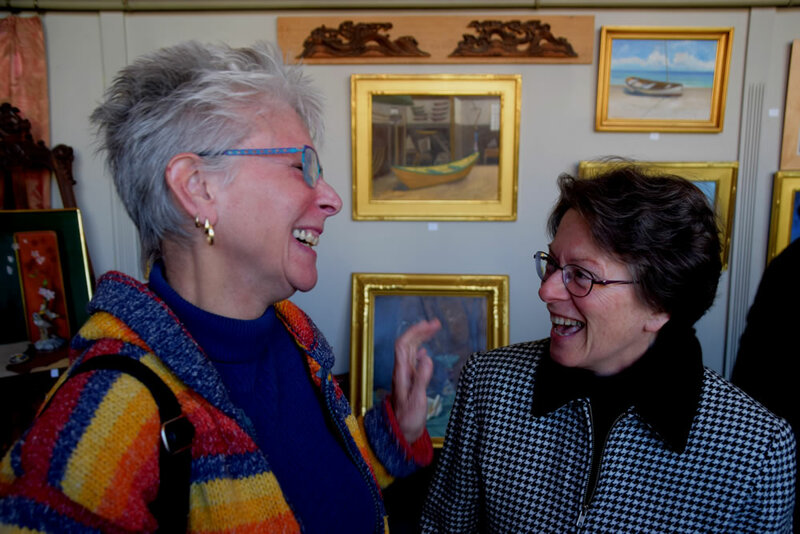 These presentations were on a variety of subjects and periods of interest to lovers of art and featured connections to Fenway Studios artists. 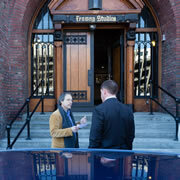 Our 2011-2012 Series focused principally on artists of 'The Boston School', many of whom had a close connection to Fenway Studios. 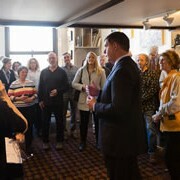 This year was again a great success, with over 23 studios open for view, increased number of visitors and generous food donations raised for the Boston Food Bank. 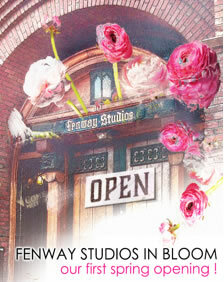 Exposure of Fenway Studios continues to rise as does its appeal. 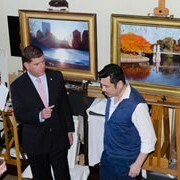 Fenway Studios participated again for the 2nd year in the area-wide cultural event sponsored by The Fenway Alliance on Monday, October 8, 2012. 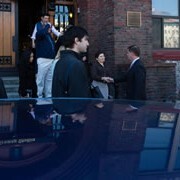 Read about Elizabeth Ives Hunter talk on boston.com website. 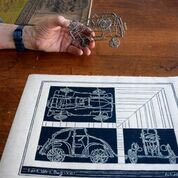 Read about Erica Hirshler talk on "Visit Boston" website. Featuring the works of eight artists, each using a different medium to express the traditions of Eastern cultures.